Can I board my kitten? Cats and kittens must have their completed vaccinations for Feline Distemper and Rabies in order to stay at Morris Animal Inn. Please speak to your veterinarian regarding the appropriate age requirements for receiving vaccinations. I have multiple cats. Can they board together? Absolutely! Cats of the same family can certainly share accommodations. Morris Animal Inn offers accommodations that are comfortable and spacious for multiple cat households. Are cats allowed out of their accommodations? Morris Animal Inn offers a wide selection of cat activities that can suit any feline personality! 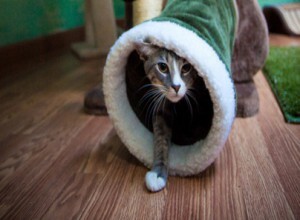 In addition, cats can stretch and roam around our Kitty Playroom during a pampered pet session. We even offer our outdoor Kitty Strolls in our specially designed Kitty SUV for cats who enjoy outdoor views. What should I do to prepare for my cat’s reservation? All activity and grooming requests should be made when booking your reservation. Vaccination records for Feline Distemper and Rabies should be faxed over before arrival. Adequate telephone numbers should be provided in case we need to contact you. Any special diets or medications should be clearly communicated to our receptionists upon drop check in, along with a pick up time for your cat. All amenities are provided: litter box, litter, bowls, and bedding-no need to bring any of these items. If you need to change or cancel a holiday/vacation period reservation you must notify us at least 14 days in advance or cancellation fees will apply. Changes or cancellations to a non-holiday/vacation period reservation must be made three days in advance or cancellation fees will apply. My cat only eats the food I provide at home, will switching be a problem? Most cats do very well on our food, but if they require a special diet, you should make arrangements to bring in their own food from home. (an additional service charge will apply) We serve a blend of food that is generally easy on the stomach and digestive system in case your pet is switching over.